Take the leaves from bunches (you can use whole leaves with stigma). Wash and clean thoroughly and keep in a big bowl of lukewarm water for 5 minutes. Take out leaves from water, do not strain, use your hand and remove leaves from water carefully. Though thankuni is usually not attacked by pets and diseases of serious nature, but this a small, annual, slender, herbaceous creeper that inhabits marshy areas and can also be found along the roadsides and ditches of Bangladesh. Now put leaves in a strainer to remove excess water. Make a paste of leaves with kalo jeera, salt, sugar and chilies in a unique fashion (traditionally by Stone Mortar and Pestle) or in a mixer grinder. Heat 1 tsp oil in a pan and fry the paste slightly for 2 minutes. It is most often prepared as Malluma a traditional accompaniment to rice and curry, and goes especially well with vegetarian dishes, such as dhal, and jackfruit or pumpkin curry. almost always contains grated coconut, and may also contain finely chopped green chillis, chili powder, turmeric powder and lime or lemon juice. In Indonesia, the leaves are used for Sambai oi peuga-ga, an Aceh type of salad, and is also mixed into asinan in Bogor. 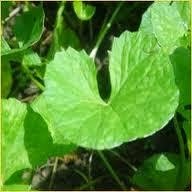 In Vietnam and Thailand, this leaf is used for preparing a drink or can be eaten in raw form in salads or cold rolls. In Bangkok, vendors in the famous Chatuchak Weekend Market sell it alongside coconut, roselle, crysanthemum, orange and other health drinks. A variation of the nutritious porridge known as Kola kenda is also made with gotu kola by the Sinhalese people of Sri Lanka. Kola Kenda is made with very well-boiled red rice (with extra liquid), coconut milk and gotu kola, which is pureed. The porridge is accompanied with jaggery for sweetness. In Malay cuisine the leaves of this plant are used for ulam, a type of Malay salad. It is one of the constituents of the Indian summer drink thandayee. Take 250g of thankuni leaves and stack. Wash and clean thankuni leaves with lukewarm water. Put cleaned thankuni leaves and stalks and one cup drinking water into a blender and blend to a pulp, sieve the pulp squeezing out all the juices you can. Take the squeezed juice in a pan with 4 teaspoon sugar and one pinch salt. Heat until the sugar is dissolved. Leave to cool. You will get about 250mL of prepared juice for four persons. Take 200mL of chilled water, add juice of one lemon, add 50 mL thankuni juice, shake and serve over ice. Take thankuni leave juice 5 to 6 spoons, heat slightly and mix with 1 cup milk as a herbal remedies for glowing skin. The plant Thankuni is useful to improve memory as it is described in Ayurveda "Thankuni and Brahmi both have same properties as a memory booster" and advised to take thankuni juice with milk and honey to improve memory. A study published in the December 2012 issue of the "International Journal of Molecular Medicine" found that Centella asiatica may help protect against skin cancer caused by exposure to ultraviolet radiation. Various researches are showing that one may have health benefits with occasional using of thankuni leaves for liver Health, antianxiety, as well as for healing wound as described in ayurveda. In our contemporary pharmaceutical world as well as beauty spas, it is often used as an active ingredient in tonics, oral slimming formulas, beauty preparations, body firming products, wound healing, and anti-aging skin care products.